Antioxidants are substances that protect the body against free radicals. Free radicals are molecules with unpaired electrons. They are highly reactive and cause damage to cellular components such as DNA, lipids and proteins. Free radicals are generated by the body via metabolism, and by exposure to environmental factors such as ultraviolet (UV) light. At low concentrations, free radicals work to defend the body from infection by attacking bacteria and viruses. DNA mutation: Free radicals react with all components of the DNA molecule, causing permanent modification of DNA material. This can lead to abnormal cellular functions, cell death and the formation of cancer cells. Lipid peroxidation: When lipid cells undergo oxidative degradation – as the free radicals ‘ steal’ electrons – their cell membranes break down. Changes to lipid composition affect the skin barrier function and trigger inflammation. Protein damage: Components of proteins are susceptible to oxidation by radicals, which weakens their structure and function. Over time, repeated oxidative stress to the skin ages it. How do antioxidants work to protect my skin? The skin has a series of intrinsic antioxidants to protect itself from free radical damage. These are classified as antioxidant enzymes or non-enzymatic antioxidants. Antioxidants also come from food, which blueberries, kale and beans being just a few of many sources. There are two notable antioxidant enzymes in the body that work well in fighting against ROS. Superoxide-dismutase (SOD) converts superoxide anions into hydrogen peroxide. Catalase initiates the decomposition of hydrogen peroxide to water and oxygen. Other antioxidants work by donating electrons to ROS to prevent them from attacking our cells. However, the body’s natural antioxidant defence is not sufficient to neutralise all of the radicals. This is where cosmeceuticals can help. How do I protect against free radicals? With proven abilities to inhibit cellular damage, antioxidants are among the most important components of cosmeceuticals. The topical application of antioxidants offers skin protection against harmful free radicals by inhibiting the oxidation of other molecules. Vitamin E (tocopherol) is a lipid-soluble antioxidant found naturally in our body and protects the membranes from free radical attack. It also inhibits melanogenesis (production of melanin), UV-induced erythema and the degrading of lipids. Out of 8 active forms of vitamin E, á-tocopherol (AT) has shown to be most effective. Known as ascorbic acid in the body, vitamin C is a powerful antioxidant that neutralises the negative effects of UV radiation on the skin and prevents the degradation of lipids. Vitamin C is also necessary for collagen synthesis and aids in the reduction of wrinkles and the healing of skin wounds. Polyphenols are chemicals that occur naturally in plants and are the most abundant antioxidants in our diet. 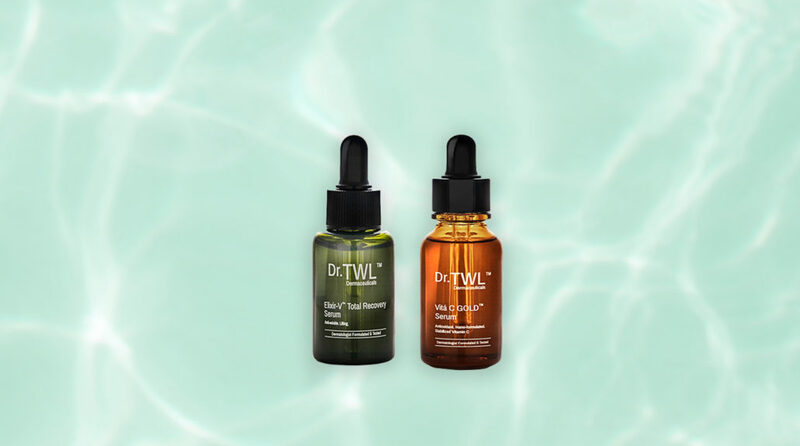 At low concentrations, polyphenols scavenge oxidative radicals and reduce skin damage. Typical polyphenols are resveratrol, tannins, galloylglucoses, flavonoids and phenolic acids. Resveratrol is a natural polyphenol found in a variety of plants and fruits, including grapes, mulberries and peanuts. Resveratrol protects the skin against UV radiation, thus fighting against the effects of photoaging. Resveratrol is also able to regulate lipid metabolism, and possesses anti-inflammatory and anti-cancer properties. How to use cosmeceuticals for maximum antioxidant protection? In the morning: Use a stable form of Vitamin C every morning to protect the skin against free radicals. 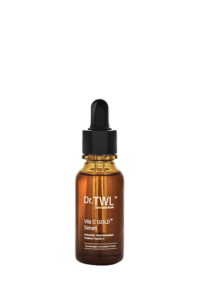 Dr. TWL’s VITA C GOLD™ Serum is a dermatologist-formulated serum with a potent 5 per cent stabilised Vitamin C derivative that does not irritate the skin. Also, be sure to use the right amount of sunscreen throughout the day. At night: Use a serum that helps your skin recover from the day’s damage. 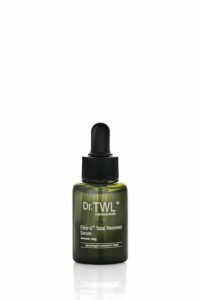 Dr. TWL’s Elixir-V™ Total Recovery Serum, uses a super-power Japanese Knotweed plant extract to provide trans-resveratrol for daily cellular regeneration. It also relies on Centella Asiatica extract for lightening scars, and a patented ingredient called Larecea™ Extract for one last regenerative boost before bedtime.